The Eastern Aleutian people inhabit several Aleutian islands stretching westward in Alaska toward Russia. Their main communities include Adak, Akutan, Cold Bay, False Pass, King Cove, Nelson Lagoon, and Sand Point. The language belongs to the Eskimo-Aleut language family. Within the Eastern Aleutian group are the dialects of Unalaska, Belkofski, Akutan, the Pribilof Islands, and Nikolski. The Pribilof dialect has more living speakers than any other dialect of Aleut. While English and Russian are the dominant languages used by Aleuts living in the United States and Russia respectively, the Aleut language is still spoken by a little over 100 people in the United States. It is very rare for an everyday person to speak the language fluently. Christian presence began in the late 1800s with the Russian Orthodox Church. After the United States bought Alaska, a new wave of Christian arrived with Moravian missionaries. In the 1930s the last masked dances were performed. However, attempts are being made to revive traditional religion. Communities have themselves rekindled efforts aimed at preserving their cultural heritage. This resurgence has included the formation of dance groups, language classes, and local culture camps, all formed to help rectify the history of cultural suppression that marked the Russian and American periods. Traditional religion reflected the hunting culture upon which their survival depended. All animals were believed to possess a soul, which meant that they sought to treat all animals with respect. When an animal had been hunted and killed a ritual would sometimes be performed to enable the animal to return to the place from which it had come. Certain taboos governed hunting practices. Land and sea animals were kept separate from one another. Shamans were often sought for healing and other matters in life. The only Christian presence continues to be the Russian Orthodox Church which is on Unalaska Island. The Aleut population is still strongly Orthodox while at the same time some communities practice traditional beliefs. For more information, visit the Eastern Aleutian Tribes website. 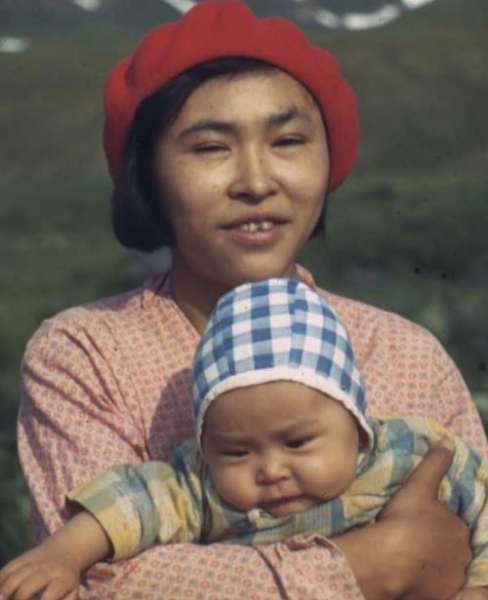 Pray that God will send Christians to share a relevant and contextualized presentation of the gospel with the Eastern Aleut. Pray that God will work in the lives of Aleut to know both the ultimate Creator God but also God who has come to live among us through Jesus Christ.